From the serene mountaintop temple of Doi Suthep to the smaller wats (temples) that greet you at nearly every turn, Chiang Mai is a cultural gem. But that’s not all. Between the charm of the city’s historic centre with its winding cobbled streets, abundance of vibrant night markets, and enough cheap and delicious street food to send your appetite into overdrive, it’s not hard to see why travellers fall hard for Chiang Mai. 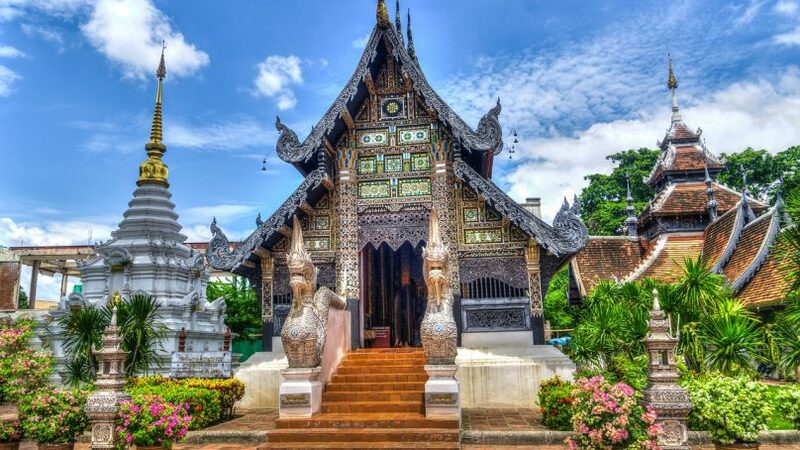 Whether it’s your first visit or your fifth, our local Chiang Mai tour guides share some of their best picks for hidden gem attractions sure to help you feel like a local. Looking for a place to totally relax in a chilled-out setting? Look no further than Huay Tung Tao Lake. Located 15 kilometers outside the city, this scenic manmade lake is surrounded by small bamboo huts perfect for whiling away a few hours by the water. There are more than 20 restaurants dotted around the lake from which you can order simple Thai meals and cold beers right to your hut, and in addition, there are swan-shaped pedal boats for rent and a swimming area if you feel like going for a dip in the calm water. The route around the lake is about five kilometres and popular with bikers and joggers. There is an entrance fee is THB 50, and just keep in mind that most lakeside restaurants close up around 6pm. The bamboo huts are free as long as you order some food or drinks. You might not realise it, but you can see cherry blossoms blooming right in Chiang Mai, something most commonly associated with Japan. Doi Khun Chang Kian Highland Agricultural Research Station is located on the top of Doi Suthep and run by the University of Chiang Mai’s Faculty of Agriculture, which also grows arabica coffee (stop for a freshly brewed cup at one of the coffee stalls on site). The best time to catch sight of the pretty pink blooms is from the end of December to mid-February. If you need a snack, you’ll also find locals selling food like noddle soups and sai-ua (Northern Thai sausage). You can hire a songthaew to get there either directly from Chiang Mai or from the area in front of Wat Phra That Doi Suthep. This species of cherry blossom is known as the Wild Himalayan Cherry, called Tiger Queen among locals. Another chance to enjoy some time by the water comes courtesy of the floating houses at Mae Ngat Dam. Just a few minutes from Bua Thong Waterfall (better known as the Sticky Waterfall) you’ll find a cluster of floating wooden cabins connected side by side on a dam within Si Lanna National Park. The cabins can only be reached by a 15-minute longtail boat ride, which you can hire from the dock. There are several companies that each operate a group of similar floating cabins and most people opt to spend the night, but you can also rent one for the day (prices vary). There are several small restaurants here and you can also rent inner tubes, fishing rods and basic tackle, and kayaks. This small, picturesque village can be found about 90 minutes from Chiang Mai. Mostly known as the home to Chiang Mai’s first zipline tour park, Flight of the Gibbon, it’s well worth a visit just to explore the village and surrounding mountains and jungle. The area is also famous for the production of mêeang (pickled tea leaves), and local coffee. Sample a cup at one of several coffee shops in the village, which is also home to a seven-tier waterfall and a small temple. If you want to stay overnight, there are a series of local homestays offering accommodation. Just look for the houses that display a “homestay” sign and ask about availability. Depending on how much time you have, you can follow the Mae Kampong main road through the forest into Chae Son National Park, where you can find several more waterfalls, as well as hot springs. Located about an hour from Chiang Mai in the Mae Rim district, the Nong Hoi Royal Project was set up in 1974 with the goal of helping Hmong hill-tribe people diversify their crops. The project helps the hill-tribe people grow a variety of items, including strawberries, lettuce and cabbage species, herbs, and other organic produce and has now become a popular spot for eco and agro-tourism. Visitors can stroll through the flower fields here and relax in bamboo pavilions. When you get hungry, Mon Cham (also known as Mon Jam) is a restaurant in an open aired thatched roof building with bamboo tables and benches overlooking the Mae Sa Valley. The restaurant serves Thai dishes made with the local produce grown at the Nong Hoi Royal Project.